or would like to get in touch to find out about bulk orders, please use the contact page. 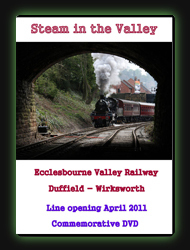 Steam In The Valley is a double DVD that tells the story of the re-opening of the railway line between Wirksworth and Duffield in April 2011. 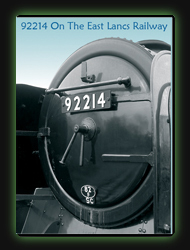 50% of the profits from this DVD will be going to the Ecclesbourne Valley Railway Association. The first DVD covers much of the restoration work involved before the opening of the line and has been produced and edited by Paul Rayner. Paul is a volunteer on the railway and was involved in much of the huge effort that was required by the civil engineers to get the track, signaling and stations ready before the official opening. This DVD has narration by Neil Ferguson-Lee, another EVRA volunteer. A Momentous Occasion celebrates the 50th anniversary of steam locomotive BR class 9F 92214 in October 2009 at Butterley station in Ripley. The start of the program includes footage of the owners celebrating the anniversary with a speech from Phil Brown and narration from Don McNab. 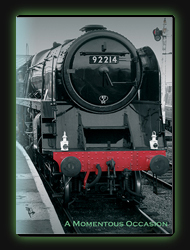 Following this the program then includes footage of the locomotive traveling along the Midland Railway Centre at Butterley, shot from the footplate and several line side locations, whilst Don McNab, narrates the history of the locomotive and tells the story of his involvement in the restoration process. 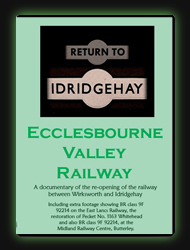 Return to Idridgehay is the first part of the story of the re-opening of the line between Wirksworth and Duffield. In March 2008 Ecclesbourne Valley Railway Association had completed the restoration of the track from Wirksworth as far as the station at Idridgehay. To celebrate this achievement EVRA began running passenger trains between the two stations and held an official opening ceremony at Idridgehay station on March 8th 2008. Councillor Chris Jackson conducted the opening ceremony at Idridgehay station and the Reverend Canon Keith Orford blessed the station. The program captures the experience of riding the train from Wirksworth to Idridgehay station on the first weekend of opening. The footage was shot over a period of two days in March 2008 and recreates the drivers� view of the journey in both directions. The program includes footage of the return journey to Gorseybank level crossing using the second line into Wirksworth station and also a return journey to Ravenstor platform. The DVD does not include any narration apart from the speeches made at the opening ceremony. The DVD also includes a short program with footage from both 92214 on the East Lancs Railway, Restoration of 92214 and also footage about the restoration of Pecket No 1163 "Whitehead". Restoring BR Class 9F 92214 tells the story of the restoration of the locomotive using some of the original footage captured at the time by Don McNab, one of the people involved in the restoration. 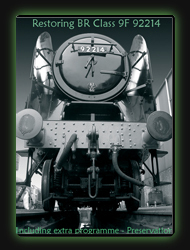 The program is narrated partly by Don, and also by David Sterne, who between them explain many of the problems associated with the restoration of a locomotive such as this. The DVD includes archive footage, shot by Don McNab, of 92214 in action on the Midland Railway at Butterley, the East Lancs Railway and also the West Somerset Railway. The DVD includes an extra program with footage from both 92214 on the East Lancs Railway, Return To Idrigehay and also footage about the restoration of Pecket No 1163 "Whitehead". 92214 on the East Lancs Railway is a program showing a journey along the length of the East Lancs Railway. The program begins with footage of a snowy Bury Bolton Street station where the train is boarded for a journey behind the locomotive to Heywood and the return journey through Bury to Ramsbottom. 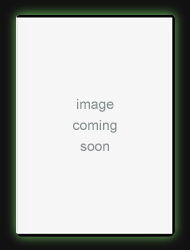 This DVD has been completed free from narration or captions allowing the viewer to enjoy the journey without interruption. Below are some examples of programs that Green Peak has produced for various individuals and companies. 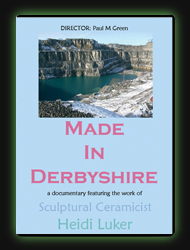 Made In Derbyshire is a short documentary featuring the work of Heidi Luker. Heidi is a sculptural ceramicist living in Wirksworth in Derbyshire. Heidi's work is influenced by local quarries, lakes and reservoirs. This program shows examples of the work that Heidi has produced and includes footage of Heidi producing one of her ceramic sculptures. 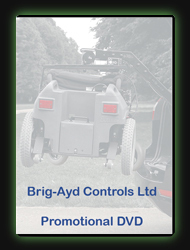 Brig-Ayd Controls Ltd is one of the countries leading manufacturers of driving aids and wheelchair hoists giving independence to people with physical disabilities. This DVD showpieces the range of products that they produce. To get a free copy of the DVD please contact Brig-Ayd Controls Ltd.